B0069. 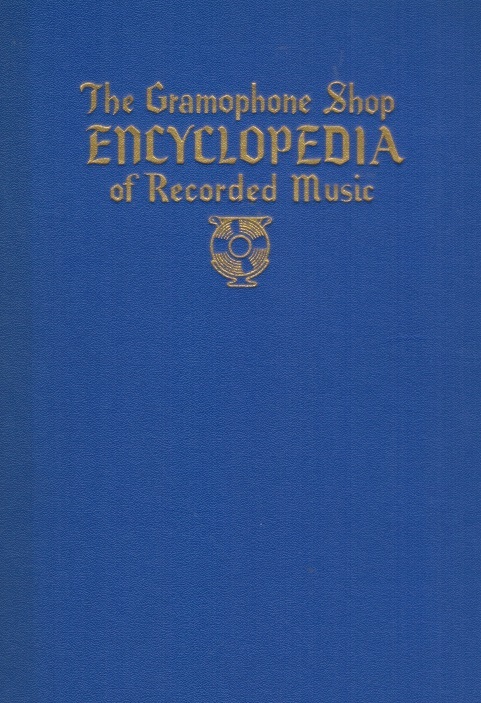 The Gramophone Shop Encyclopedia of Recorded Music, 1936 Edition. New York, The Gramophone Shop, 1936 Edition. 574pp. Composer Index. 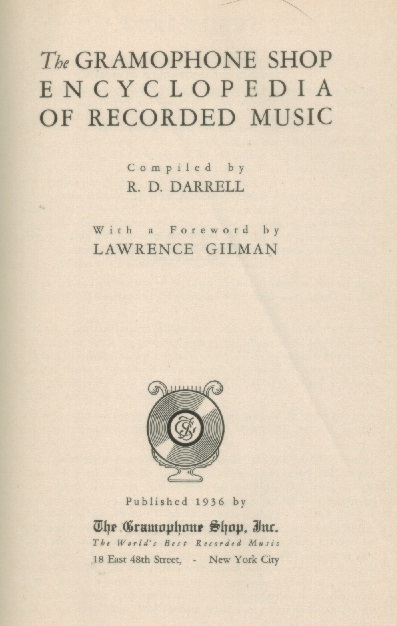 The first edition, edited by R. D. Darrell, published in 1936; George Clark Leslie, supervising editor. Choice copy of this Original 1936 Edition.